Edinburgh, 21—29 August 1971: The Icelandic Sagas and Western Literary Tradition . Reykjavík, 2—8 August 1973: Fornsögurnar og íslenskt miðaldaþjóðfélag (The Sagas and Society) . Oslo, 26—31 July 1976: The Kings’ Sagas . München, 30 July—4 August 1979: The Legendary Sagas (Fornaldarsögur) . Helsingør, 28 July—2 August 1985: Christianity and West Norse literature . Spoleto, 2—8 September 1988: Poetry in the Scandinavian Middle Ages . Göteborg, 11—17 August 1991: The Audience of the Sagas . Akureyri, 31 July—6 August 1994: SamtíðarsögurContemporary Sagas . Trondheim, 3—9 August 1997: Sagas and the Norwegian Experience . Sydney, 2—7 July 2000: Old Norse Myths, Literature and Society . Bonn, 28 July—3 August 2003: Scandinavia and Christian Europe . Durham/York, 6—12 August 2006: The Fantastic in Old Norse-Icelandic Literature . Uppsala, 9—15 August 2009: Á austrvega: Saga and East Scandinavia . 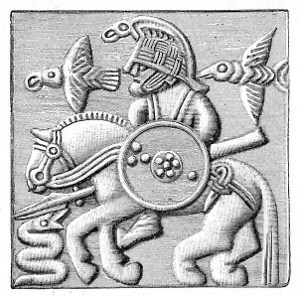 Aarhus, 5—11 August 2012: Sagas and the Use of the Past . Zürich/Basel, 9—15 August 2015: Sagas and Space . Reykjavík/Reykholt, 12—17 August 2018: Íslendinga sǫgur . The International Saga Conference, held every three years, is the principal scholarly event in the field of Old Norse-Icelandic studies. Initiated by Hermann Pálsson (1921–2003), professor of Icelandic studies at Edinburgh University and a well-known, though not always uncontroversial, scholar and translator, the conference was first held there in 1971 and was attended by more than 100 scholars from all over the world. It was deemed an unqualified success, and has been followed by conferences held in various countries — Iceland, Norway, Sweden, Denmark, Germany, France, Italy, Australia, Great Britain and most recently, in August of 2015, Switzerland. In August 2018 the conference will return to Iceland. The theme of the first conference was The Sagas and Western Literary Tradition , reflecting Hermann Pálsson’s own interests and those of a number of like-minded younger scholars at the time. Subsequent conferences have all had themes, reflecting local interests and global trends in varying measure. In his potted history of the International Saga Conference, given as a keynote speech at the 14th conference in Aarhus in 2012, Lars Lönnroth said that Hermann Pálsson managed to start the saga conferences at exactly the right time . He continues: And the first conferences in Edinburgh, Reykjavik, Oslo and Munich became a battleground for younger scholars with controversial ideas and for their older opponents within the philological establishment. As a result of this, he says, scholarly discussion became more open, intense and unpredictable, new and fruitful areas of research were explored, Old Norse studies flourished and attracted during the seventies more international attention than it had for many years. From the start, the papers delivered at the conferences were published, either afterwards, as proceedings, or, increasingly, beforehand, as preprints, the idea being that one could read a printed version of a paper before hearing it presented. Although many of these conference papers subsequently appeared in revised versions in proper publications, the bulk are only available in this form and have become increasingly hard to get hold of. The purpose of the present website, maintained by the Arnamagnæan Institute at the University of Copenhagen and sanctioned by the Advisory Board of the International Saga Conference, is to collect materials from these conferences and make them available on the web for use by scholars and other interested parties. The archive currently holds PDF versions of over 1300 papers and/or abstracts by some 600 scholars, scanned in most cases from the original proceedings/preprints. Where revised versions of these papers exist, these too can be made available if the authors so wish, as can handouts, powerpoint presentations and similar material. The material on this website is available under the Creative Commons Attribution-ShareAlike License, which means it may be freely reproduced and distributed for non-commercial purposes, without modification, with acknowledgment. Copyright resides with the individual authors, however, and any other use therefore requires their permission.